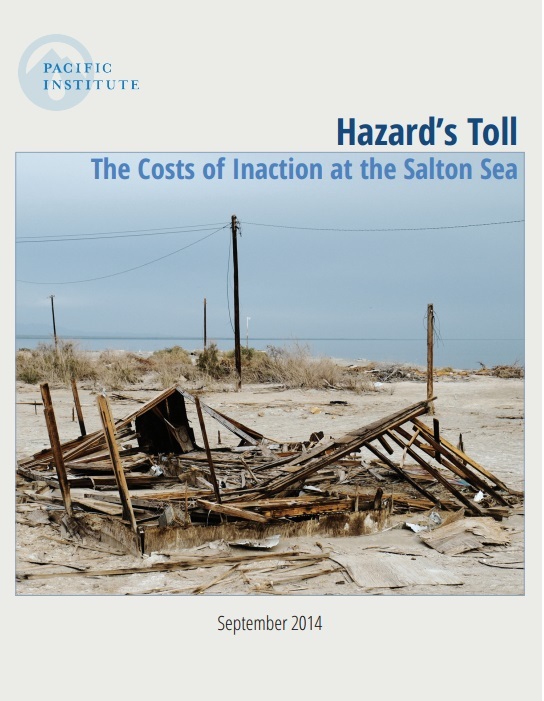 The Institute’s new report Hazards Toll quantifies for the first time the serious economic and environmental costs of the continued failure to protect and preserve the Salton Sea. Deterioration of the Salton Sea would lead to worsening air quality and the loss of valuable ecological habitat. Together with diminished recreational revenue and property devaluation, this deterioration could cost Californians as much as $70 billion over the next 30 years. This study demonstrates the urgent need for action at the Salton Sea. Read more. Download the four page executive summary (PDF). The report was covered by national and local media including: The Los Angeles Times, The Desert Sun, USan Diego Union Tribuneo, NPR’s KPCC, and KCRW. The CEO Water Mandate released a study — with a supporting foreword by the UN Deputy Secretary-General — that makes the case that action on sanitation is a moral imperative for companies around the world, and shows the business risks from lack of adequate sanitation, as well as the opportunities and benefits offered by appropriate interventions. 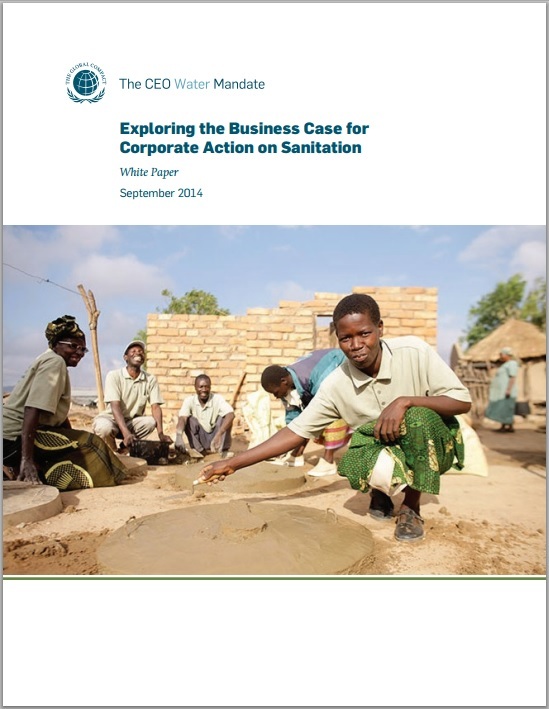 Exploring the Business Case for Corporate Action on Sanitation shows companies why and how they can contribute to these global development efforts and in the process strengthen their business. Read more. The Pacific Institute’s Water Program co-sponsored a seminar on water quality, climate change, and energy with the United Nations Environmental Programme (UNEP). Pacific Institute President Peter Gleick gave a talk on water and conflict at a session announcing the creation of the UNESCO Category 2 Centre on water conflict and cooperation. Water Program Director Heather Cooley presented a case study of California’s water-related energy use, describing the extensive work of the Institute in this area. The CEO Water Mandate, represented by the Pacific Institute Corporate Sustainability staff, held a series of successful events. Read the full list of topics covered here.The meetings also saw the soft launch of Mandate products and the official release of a white paper, Exploring the Business Case for Corporate Action on Sanitation, and an initial draft of the Mandate’s Guidance on Bringing a Human Rights Lens to Corporate Water Stewardship. At World Water Week in Stockholm, Circle of Blue and the Wilson Center convened the session, Global Choke Point, which explored the three colliding trends-declining freshwater reserves, uncertain grain supplies, and booming energy demand — that are disrupting economies, governments, and environments around the world. The session took participants to the front lines of global water crises, and presented the Circle of Blue’s award-winning coverage of California, India, and the Ogallala Aquifer. 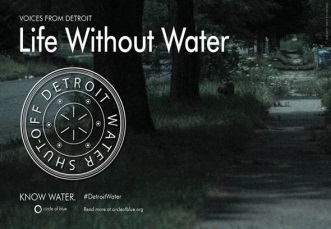 See full Water Week coverage here. The Pacific Institute Drought Response Team continues to provide weekly updates on the severe California drought. To learn more, visit www.californiadrought.org. In August, among the topics covered are the water bond, precipitation, and Chinook salmon. Governor Brown signed a scaled-down water bond that will go on the November ballot this year. Read the latest drought update. 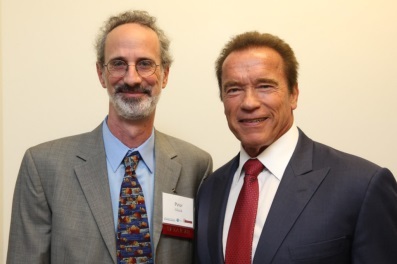 Peter Gleick participated on a panel at the “Global Climate Negotiations: Lessons from California” Symposium co-hosted by the USC Schwarzenegger Institute with the Air Resources Board and the R20 in Sacramento. The symposium — including participation from CalEPA Secretary Matt Rodriquez and Governors Arnold Schwarzenegger and Jerry Brown – highlighted California policies that have made the state a global leader in addressing the impacts of climate change, the progress of California’s efforts, and lessons learned. The Institute continues its groundbreaking work on California’s “water footprint.” A new article published by Julian Fulton with the Pacific Institute findings demonstrate that water footprint assessments may find more policy relevance when scaled to analytical units where water-related decision making occurs. The authors evaluate California’s domestic water usage and the unique factors that limit large scale water-footprint calculations and propose that water-footprint methods be more accurately calculated at a state level. Read more. Island Press is hosting a print book sale from September 21-30. Books like the biennial water assessment — The World’s Water — as well as Peter Gleick’s Bottled and Sold will be available at substantial savings: up to 50% off. You can purchase the books at http://www.islandpress.org and Amazon. Pacific Institute Experts Continue to be Sought After for Talks, Seminars, Workshops, and more. Pacific Institute staff presented a wide variety of talks and workshops this month, among them presenting the Institute’s research on the impacts of fracking in California, the advantages and disadvantages of seawater desalination in the state, and potential “new” water sources and solutions for California during the drought. Read the full list and more details here. “Water Fights: California Water Bond” at the Brower Center in Berkeley, California on Thursday, October 23. Event beings at 7:00pm and is free to the public (suggested donation of $10). For more information and to RSVP, click here. “Chasing Water,” a session on October 28th at the Commonwealth Club with Climate One on the future of water at home and abroad. Learn more here. The Guardian: Peter Gleick talks to Heather Young in this article which rounds up the news, highlights and announcements from the second day of the annual water conference in Stockholm. KQED – Sally Shilling interviews Heather Cooley on the Bay Area’s leaky pipes and water loss. New Scientist: Heather Cooley offers comments on the new 7.5 billion dollar water bond proposed by Govenor Jerry Brown. The Guardian: Cecilia Chatterjee-Martinsen mentions the CEO Water Mandate’s work to advance corporate water stewardship. The Half Moon Bay Review: Peter Gleick discusses the economic threats sea-level rise poses in California. Aljazeera – Heather Cooley talks about the need for data and water meters to prepare for the drought. The Big Story, The Associated Press: Why doesn’t the state regulate groundwater pumping? Our latest drought briefs and solutions are highlighted in this article.